Directed by Steven Spielberg. 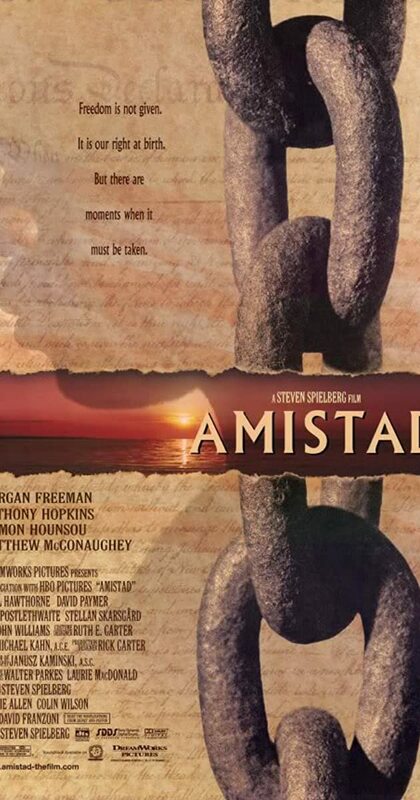 With Djimon Hounsou, Matthew McConaughey, Anthony Hopkins, Morgan Freeman. In 1839, the revolt of Mende captives aboard a Spanish owned ship causes a major controversy in the United States when the ship is captured off the coast of Long Island. The courts must decide whether the Mende are slaves or legally free.